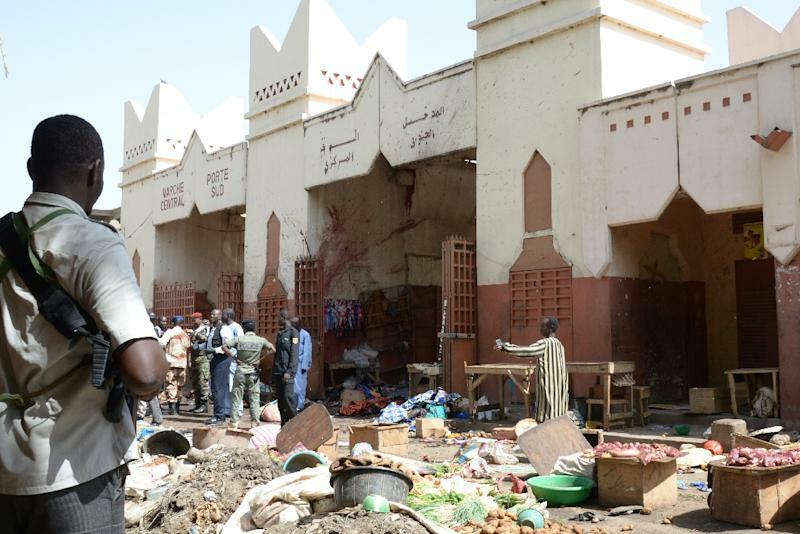 N'Djamena (AFP) - Chadian police on Sunday warned that anyone found wearing the Muslim full-face veil would be arrested, after a Boko Haram suicide bombing in the capital left 15 dead. Saturday's attack in a bustling N'Djamena market by a man disguised as a woman in a full-face veil also injured 80 and spread panic across the city. "This attack just confirms that a ban" on the full-face veil was justified, national police spokesman Paul Manga said, adding that "it now must be respected more than ever by the entire population." The bomber detonated his explosives belt when he was stopped for security checks at the entrance to the city's main market. Muslim-majority Chad banned the full-face veil, ramped up security measures and bombed militant positions in Nigeria last month after the first ever Boko Haram attack in its capital. Security was tightened across the dry and dusty capital on Sunday with police and soldiers deployed in all areas, including intersections, markets and mosques. Boko Haram claimed responsibility on Twitter for the suicide bombing, signing off as "Islamic State, West Africa province" -- the militants' self-styled moniker since pledging allegiance to the Islamic State group in March. Boko Haram's deadly insurgency has killed at least 15,000 people since 2009 and left more than 1.5 million homeless. A four-nation coalition of Nigeria, Niger, Chad and Cameroon has reportedly pushed out the militants from captured towns and villages in an operation that began in February.